Chris attained a Bachelor of Science in Occupational Therapy at Curtin University of Technology, School of Occupational Therapy in 2006, and has had a wide range of experience as an Occupational Therapist since graduating, both in acute and community settings. Chris has a keen interest in the areas of neurological assessment and rehabilitation, palliative care & driver assessment and rehabilitation. This has developed from experience working within these areas at Princess Margaret Hospital and Sir Charles Gairdner Hospital, and working privately in the community setting. Chris has assisted in developing the Occupational Therapy Services Group private practice over the past 10 year period, and currently acts as the Principal Occupational Therapist within the practice. Chris completed the Occupational Therapy Driver Assessment and Training Course at the University of Sydney, School of Occupational Therapy and has since established the Driving Occupational Therapy Services private practice clinic which provides a variety of driving assessment and rehabilitation services to persons in the Perth metropolitan & surrounding rural areas of Western Australia. Chris has also since completed his Certificate IV in Transport & Logistics, and works as one of a few Occupational Therapists Australia wide in the area of Driver Rehabilitation (Driving Instruction) with a particular interest in cognitive & visual driver rehabilitation. Chris has extensive experience working across areas of health and disability, consulting professionally as an 'expert witness' to provide detailed recommendations and costings, and preparing written and oral evidence for cases going to Trial in a Western Australian Court of Law and in other states of Australia. Chris has experience providing opinion for both plaintiff and defendant legal representation. Chris is certified in the Perceive; Recall; Plan and Perform (PRPP) system of task analysis, and in the FIM+FAM standardised functional assessment measure. Chris is involved in research and service development, with experience presenting at the OT Australia WA State Conference (2008, 2010 & 2012), Australasian Road Safety Conference (2011) and at the OT Australia Limited National Conference (2013). He also participated as an allied health representative for the Four Hour Rule implementation at Sir Charles Gairdner Hospital. Chris is currently participating in research at the Curtin Monash Accident Research Centre (C-MARC) located at Curtin University. Chris received a ‘Recognition of Service Award’ in 2009 from OT AUSTRALIA WA, and previously volunteered within the State OT Association as a committee of management representative for the Professional Development Portfolio. Chris currently convenes the WA Driving Interest Group for OT Australia and also recently received the ‘OT Entrepreneur of the Year’ award in 2013 for his contribution to developing the area of driver assessment and rehabilitation in WA. He also currently represents WA on the OT Australia National Driving Taskforce with input into a range of policy and environmental factors shaping this area of practice. Chris maintains current knowledge within his areas of practice through on-going professional development and mentorship, & volunteering time to provide professional development opportunities for Occupational Therapists across Western Australia. Chris has provided guest lectures at Curtin University and presents an annual professional development event through the State OT Association. 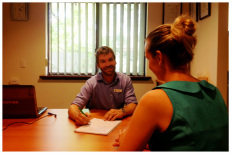 Chris also maintains membership with both the Occupational Therapy Australia Limited (National) and WA Occupational Therapy Association (State) professional bodies.